Since 1999, DermaQuest have crafted the finest skincare products for home and professional care and continue to do so as they embrace their role in plant stem cell technology and as an international skincare brand. With innovative products that address every need and desire, advanced delivery systems and their unique layering technology, their exclusive skin care line takes the science of skincare to the next level of excellence addressing complex skincare concerns ensuring the results you expect-safe on all skin types. Cruelty free beauty. 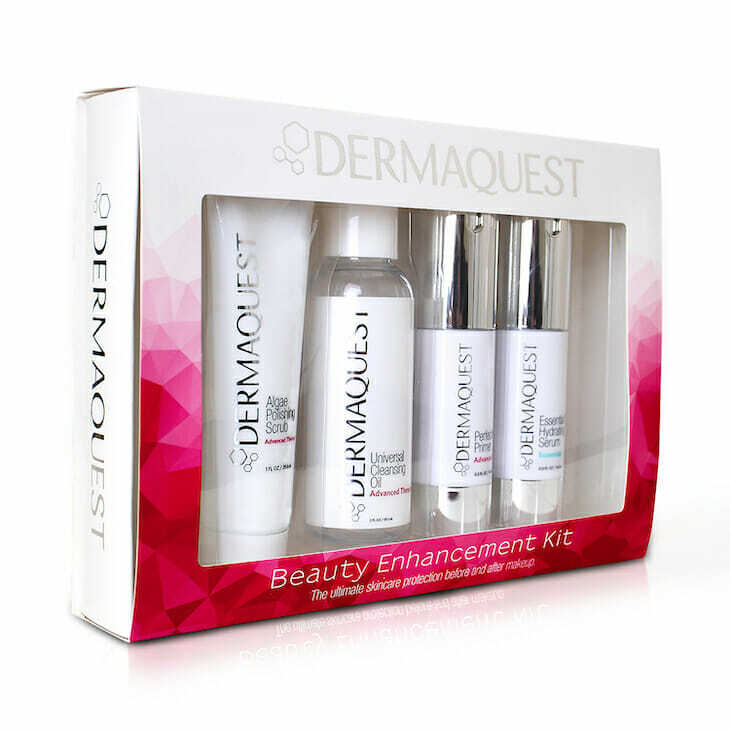 Now you can stand the chance of winning a DermaQuest hamper valued at R4255! Utilising the ideal combination of products to polish, hydrate and prime, the skin is left with unrivaled glow. Incorporating these products into your daily routine, they are guaranteed to bring out your beautiful skin! B3 serum dissipates into the skin to firm, hydrate and support barrier repair. An unrivaled blend of antioxidants to target unwanted discoloration and environmental damage, perfect for anti-aging and prevention!